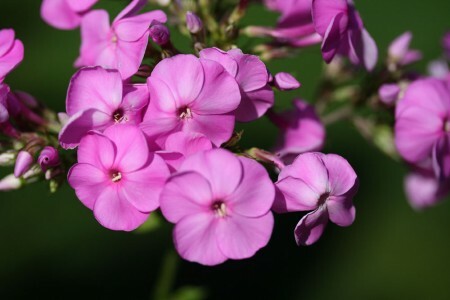 The tall phlox is in bloom. It must really be summer now. Yay! It’s been months since our phlox was in bloom! Your weather is really behind. Happy Friday! That’s so funny – ours blooms in June and it’s long gone now. So pretty! Very pretty. I have no phlox to compare it to. Pretty pink phlox. Hope it’s a wonderfully fun weekend! Oh, yes, mine are blooming too. They’re such a great color. Huh – I would have just called those “flowers”! See you on Monday; make it a good one Carole! LOL – and Margene is talking about the first signs of fall! There’s a planting of tall phlox and black-eyed Susans together downtown and it’s such a cheerful sight. Pretty! The deer ate mine-arg! Have a great weekend. I love the way phlox smells! I need to plant some, and some perennials in general, to supplement for when I’m too lazy to plant annuals! So pretty! You have a great week-end, too!! !